I recently attended a really interesting seminar on content marketing. Run by Stan Woods, MD of Velocity Partners, it was a great opportunity to get some excellent insight into the shift from outbound to inbound marketing, particularly in the business to business (B2B) technology sector. Stan showed a fab little film about inbound marketing, packed full of amazing statistics which offered lots of food for thought. The overriding message for me was that if someone wants something they will seek it out for themselves, and that overtly sales-oriented messages are unwelcome. The majority of both business-to-business and consumer purchasing decisions start with online research and Google searches. So with that in mind, content is STILL king. In support of this, Stan presented some great case studies to illustrate this trend, and it was interesting to note that many of them involved some rather hefty budgets of £50,000 or more. For anyone running a small business, you’ll either now have a wry smile on your face or be making a mental calculation of how many years’ worth of marketing budget that equates to – indeed I did the same on behalf of all of my small business clients! But during the seminar I did make the point that even the smallest businesses can employ the tactics of inbound or content marketing to attract the right customers – a good, well thought out marketing strategy will always make up for lack of budget. Think about it for a moment. Do you blog? Do you utilise social media to share content you’ve created? Have you ensured that your website is optimised for the search engines and uses landing pages with dedicated content for your target audience? Have you created a free download, e-book or online course? Then you are employing inbound or content marketing tactics. You are doing everything you can to make sure your audience knows your business exists, you are sharing information that will be of interest, you’re probably offering solutions to the problems your audience faces, and in turn you are gently educating them about exactly what your business has to offer. No matter what type of business yours is, there are plenty of ways to bring it to life and encourage your audience to engage with you – from ‘how to’ videos, sharing presentations using Slideshare or Prezi to writing blog posts and e-books. Interesting, relevant and useful content has the capacity to transform your website into a ‘customer magnet’, attracting visitors and encouraging them to move beyond a quick browse to more lengthy exploration to serious enquiry to loyal customer. I agree that the world of whizzy infographics may well be beyond most of us, as will be the necessary budget to employ every content marketing tactic going to draw in your audience. But there are plenty of lower cost content marketing opportunities that are readily available, and even just using one or two of them has the potential to start making all the difference. Check out this handy Content Marketing infographic created by PRWeb which gives some great ideas for content and how best to use it in your marketing. So how magnetic is your business? 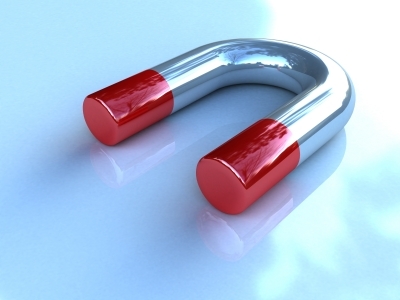 It’d be great to hear how inbound marketing has worked for you.